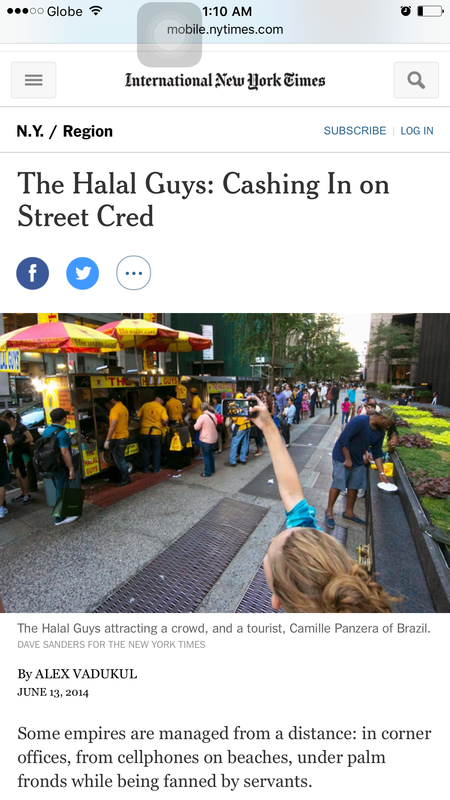 For the longest time, Halal Guys with its famous gyro and chicken offerings seemed like the kind of food only available to those who’d can go to New York to fall in line for the ubiquitous Halal Guys cart. So, it is a surprising treat to see the familiar yellow and red branding as I stepped out of Fully Booked late December following a tutorial session with two of my students. 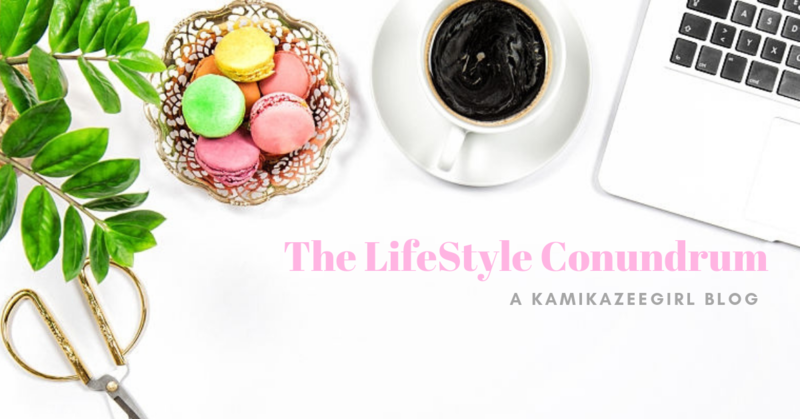 The first thing that got me is the line – snaking clumsily and spilling out of the sidewalk down to the vast green fronting Fully Book. 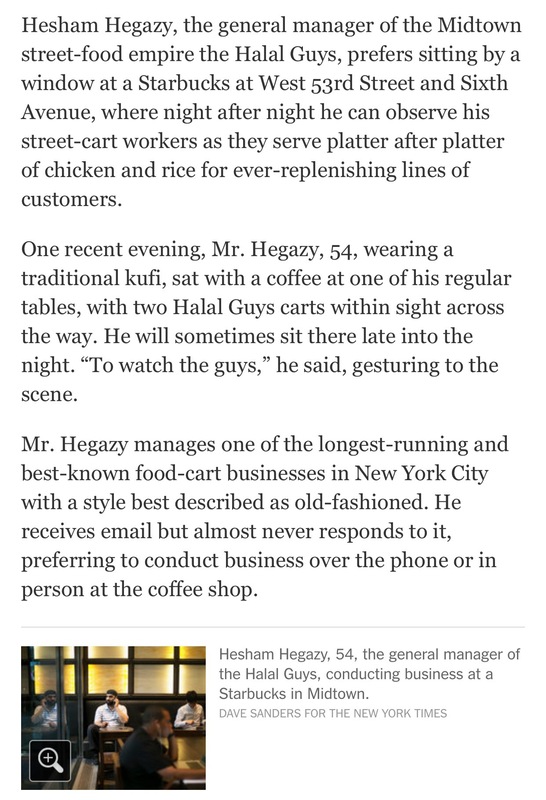 In a nod to the franchise’s humble beginnings as a small street cart managed by three guys in NY, there is no dining area set up in front of the Halal Guys hole-in-the-wall. 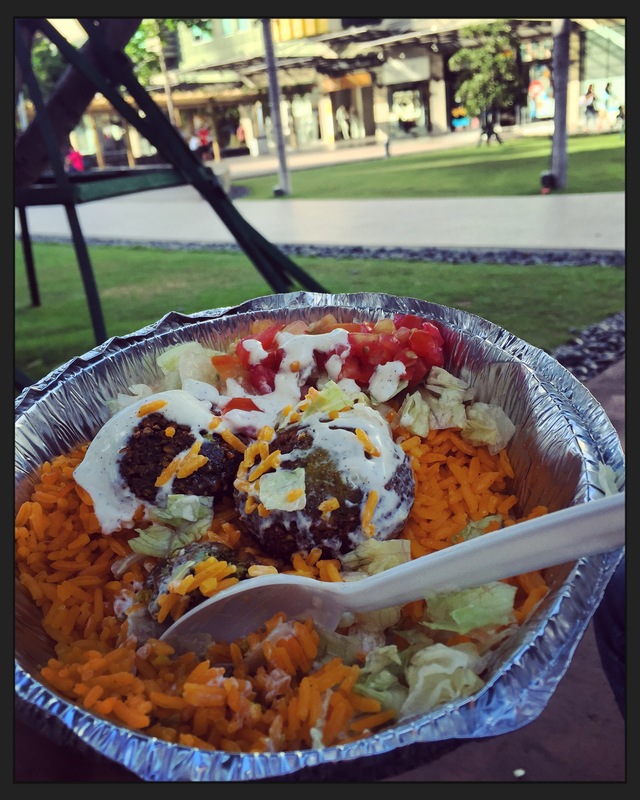 People eat their gyros standing up, scattered on the green lawn of Boni High Street. I ordered a small plate of gyro (yes, this is small), a glass of Sprite to go and made my way to the small patch of green in front of Fully Book to enjoy my late lunch. I join a bunch of people scattered at the lawn also enjoying their orders. 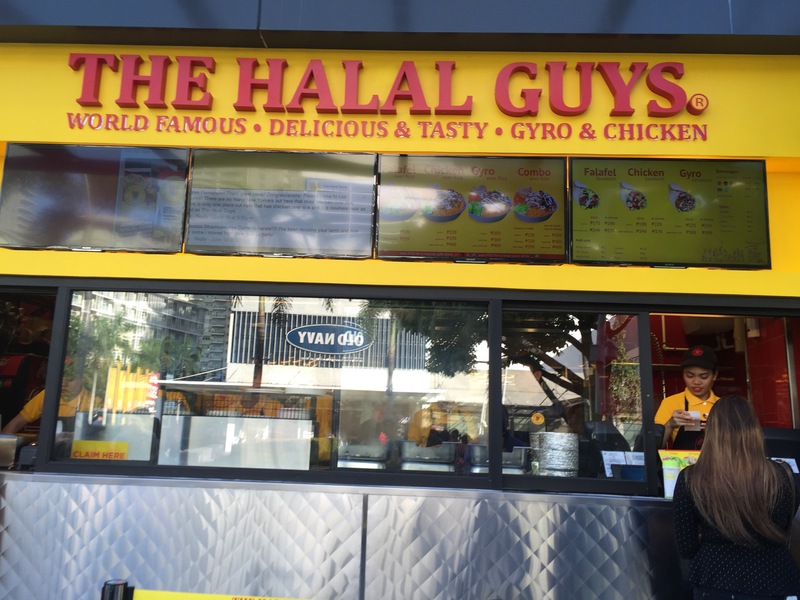 A plate of gyro contains three large gyro balls, rice, 2 slices of pita bread, cabbage, rice and tomatoes and of course, the famous Halal Guys white sauce. To say it was yummy is an understatement. This is the kind of food you would forsake your diet for. 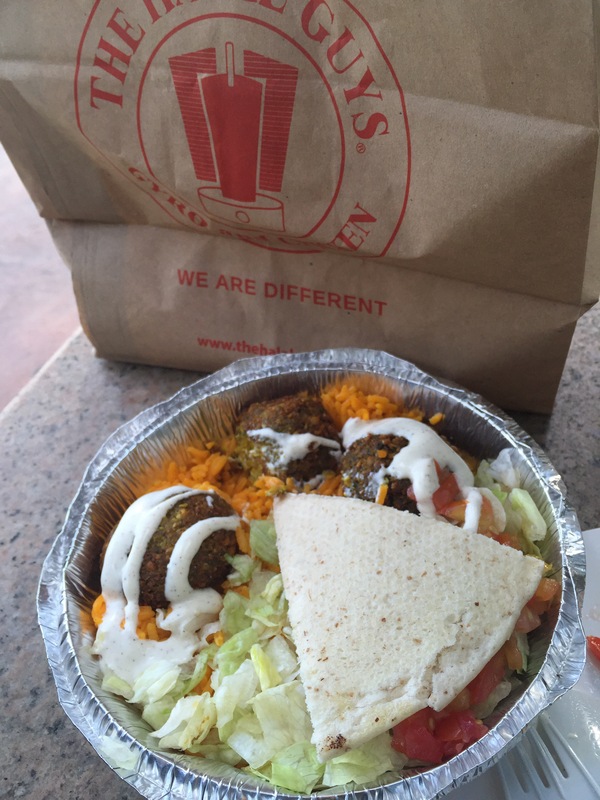 The sauce is divine and goes well with the crispiness of the cabbage and complements the gyro well. Writing this, at 1AM, is a mistake. Now, I want nothing more but a bowl of gyro! Though, you have to let the initial hype die down. I know what you mean 🙂 the lines are currently insane!